Worry no more! Find here the answers to the air duct questions you might have. Are there several ways of cleaning an air duct? 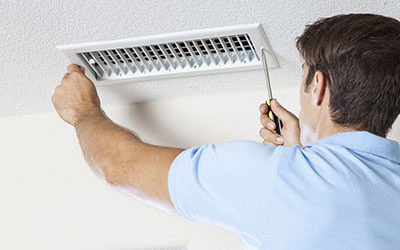 Experts know countless ways to clean an air duct system. However, the most popular method that is easily available to an average homeowner is the simple use of a vacuum cleaner, rotary brushing, and air sweeping. Can air duct cleaning make a mess of my house? When the dirt blows out from the vents after cleaning, it is possible for the house to get messy. 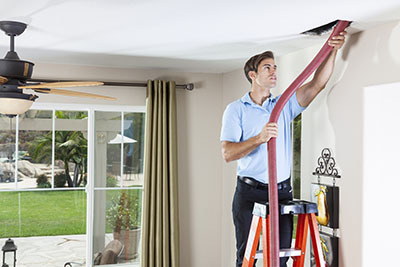 Air Duct Cleaning Newport Beach pros say that this can be countered through proper and thorough cleaning, as well as inspections before and after the cleaning process. Are air duct leaks a serious problem? Yes, they are because they cost you money. Around a quarter of the warm or cold air running through the ducts is lost through leaks and holes. Additionally, dust, dirt, debris and water can get inside and contaminate the ducts. These problems can be prevented with proper sealing of the leaks and holes. Should air duct cleaning be part of regular HVAC maintenance? It is common for people to get their HVAC ducts cleaned when they are greatly contaminated or someone in the family is diagnosed with allergy, asthma or another respiratory condition. In cases like these, emergency cleaning makes perfect sense. However, if it is done on a regular basis, the results will last a lot longer. The system’s energy efficiency will be maintained too. What are the features of an effective dryer vent system? Ideally, it should have one or more rigid metal ducts which are 4 inches in diameter or bigger. The vent’s efficiency will be higher if it is shorter and has fewer turns. A louvered cap or one with a hood which is at least 4 inches wide will make the system perform even better.